This year’s 2 day event will feature a NEW EXTERNAL DIVISION dedicated exclusively to Songshan Shaolin – the Kung Fu directly from Shaolin Temple alongside Traditional Kung Fu, Modern Wushu and internatl divisions in such arts as Tai Chi, Bagua Zhang and Xingyiquan. 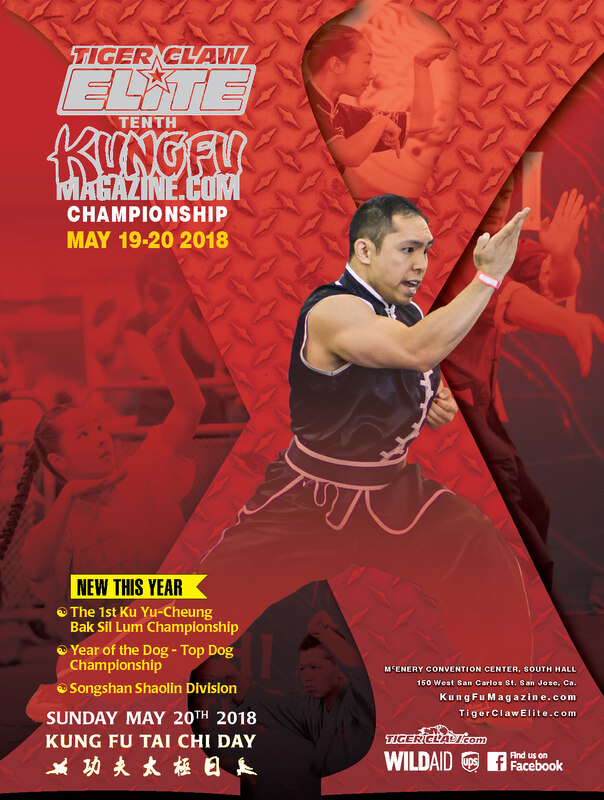 On Sunday, three Showcase Championships—the WildAid Tiger Claw Championship, the Year of the Dog – Top Dog Championship, and the Ku Yu-Cheung Bak Sil Lum Championship will preside. Teachers and students are invited to participate in the Third Annual Gathering of the Masters. Demonstrations of hand and weapon forms, combat techniques, sparring, sword or stick fighting, push hand, chi sau, and other specialties will be highlighted and promoted. For more information, email Sifu Hamby. Posted May 13, 2018 by Plum Staff. Comments and trackbacks are open. Follow the comments feed. Tagged with: hamby, kung fu, tai chi, Tiger Claw, tournament, Wu Su, Wushu.